You'll find ALL of my audio interviews posted on this separate site. This page is organized for ease of use. You can also use the long alphabetical list in the right-hand side-bar. All podcasts on a nice tidy list HERE. 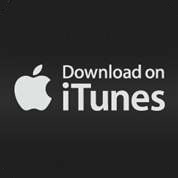 Hidden Experience is also posted on iTunes (click HERE) as an easy way to download the episodes. A selection of recommended interviews HERE. This podcast player (below) is another way to access my archive of audio interviews and personal musings.